Forest Security, Inc. is recognized for treating its customers like family and for installing the most outstanding and dependable home security systems to customers throughout the Greater Chicago Metropolitan Area. As a leading family-owned and operated company serving Chicagoland, we have been providing exceptional wireless home security systems for more than 35 years. In fact, not only does our team of professionals possess the background and know-how required to install the best home security systems, but our Forest Security technicians have over 100 years-worth of collective experience in the home security systems’ industry. Consequently, when Burr Ridge residents are seeking the most reliable wireless home security systems, the only name they need to know is Forest Security ! Burr Ridge , Illinois has close to 11,000 residents and is in Cook and DuPage Counties. Forest Security is conveniently located less than 18 miles directly northeast of Burr Ridge . Our customers in Burr Ridge realize that we have the talent and expertise to install the best home security systems that will fit their needs, their lifestyles and their budgets, as well as deliver the effective safety and security they deserve. 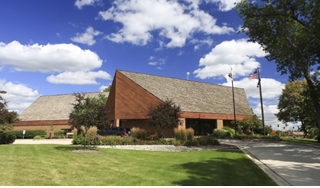 Our ultimate goal is to ensure our Burr Ridge clients are fully protected with Forest Security ’s state-of-the-art electronic detection and wireless home security systems that are tailored precisely to their specifications. This is the reason that prior to setting foot on our Burr Ridge customers’ properties and installing security systems, our expert technicians have already had five years of field experience at the minimum and are fully licensed and thoroughly trained. What’s more, Forest Security ’s trained specialists are distinguished for delivering unequaled 24/7 surveillance and alarm response in addition to providing maintenance and service calls whenever the need arises. Customer satisfaction is and always has been our primary focus. It’s no wonder that our customers continue to bring all of their home security systems needs to us year after year. They also are likely to recommend their relatives, acquaintances and coworkers to Forest Security for the best security systems in the region. We are celebrated for carrying the most sophisticated and affordable wireless security systems packages available. Our home security systems packages include professional installation, leading-edge technology, smart-phone accessibility and industry-leading customer support! For a FREE, no obligation consultation and estimate, call Forest Security , Inc. at: (708) 452-2000, today. We look forward to earning your business and protecting your family!